Welcome to The Shoebox, Refinery29's small space advice column. With the help of Homepolish interior designer Ashlie Broderic, we'll tackle all your cramped living woes — from where to store your stuff to how to make 500 square feet feel as open and unique as you are. Question: "I have so many extra shoes and only one closet. What are some creative ways to store shoes?" Ashlie's Answer: I suggest investing in a tall skinny Ikea Pax wardrobe to tuck away extra shoes and bags after the closet is maxed out. 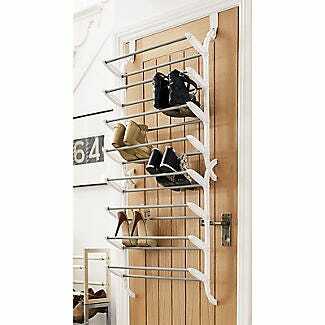 It is versatile, budget friendly, and perfect for a DIY shoe closet. Taking up less than 24” of floor space, it is possible to squeeze one into most apartments. Make sure to order the shallow 15” design and extra shoe shelves. To elevate the look, invest in custom door fronts and hardware from Reform Copenhagen or Semihandmade. Reform’s Chelsea system is dramatic and glamorous, while their Degree system is understated, architectural, and cool. For anyone extra short on space, Yamazaki makes an excellent rolling shoe rack that slides under the bed. Three of these racks will fit under each side of a queen size bed for ample storage. Question: "What are some good small space seating options (and storable seating options) so that when people come over so you don't have to make them sit on your bed because, no... just, no." Ashlie's Answer: Folding stools are the best for seating that is easy to pull out in a pinch and simple to stow away after guests head home. 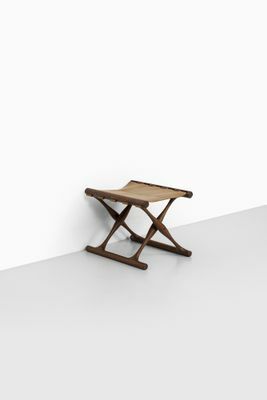 The Danish designer Poul Hundevad designed gorgeous sculptural folding stools out of teak and leather in the 1950s. 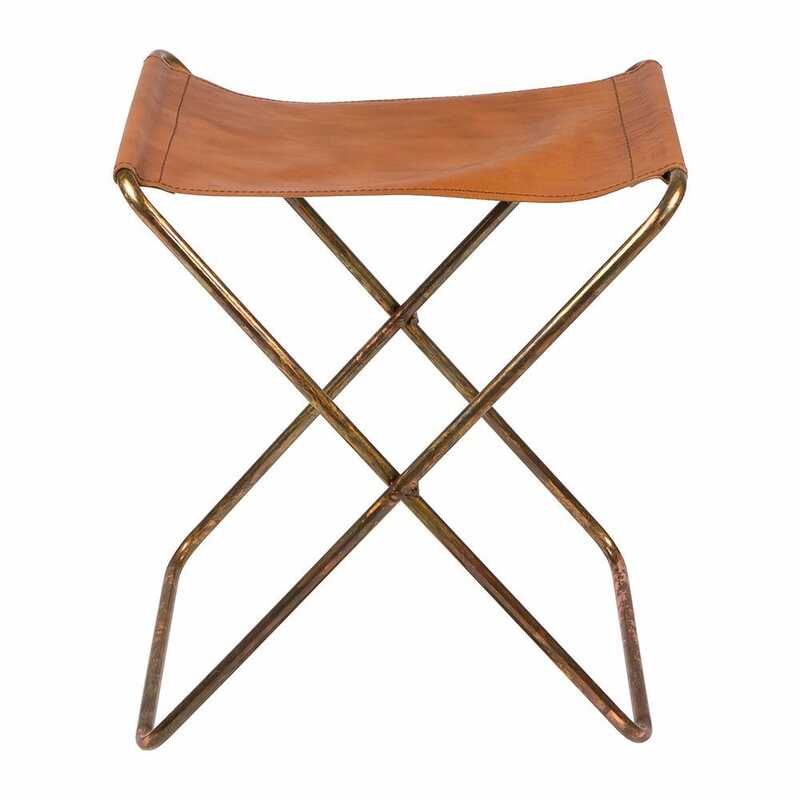 Keep an eye out at vintage furniture shops and flea markets where these can be purchased for a bargain. They look great on either side of a coffee table, or at the foot of a queen bed. Add some texture with a sheepskin throw and it will be tempting to keep them out all the time. For anyone in a hurry, Serena & Lily makes a very nice teak and canvas version. For those even shorter on space, the Bookniture stool by Mike Mak collapses completely flat and can be stored on a bookshelf when not in use. 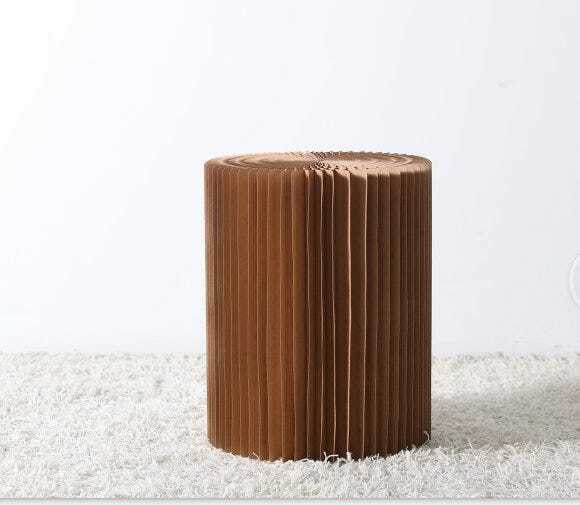 Inspired by origami, the cardboard stool has a honeycomb structure making it strong enough for seating. It comes with a double sided felt seat pad for coziness. It is available in black or brown, the black version is extra chic.